St. Peter’s has been the church home to 11 seminarians who have now gone on to be ordained to Holy Orders within God’s Church. This “Timothy Wall” is a place for us to honor our past seminarians and interns for their work at St. Peter’s, their dedication to their faith, and now for their service to Christ through their ordained ministries. 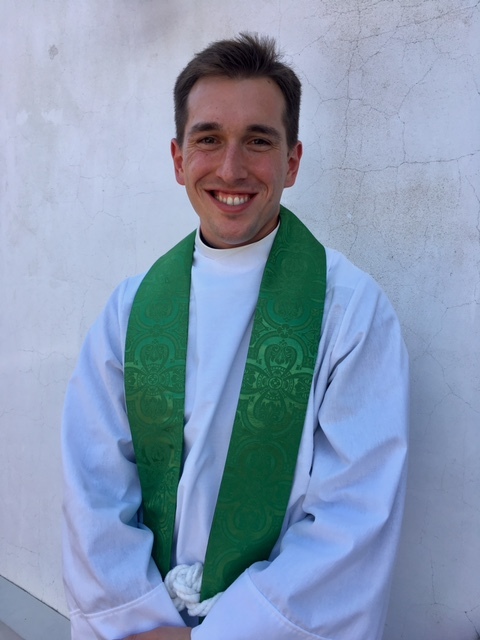 Experience at St. Peter’s: From Chair Dude to Pastoral Assistant + 2 Beeson internships and ordination to the Priesthood. I love the people of St. Peter’s and have lots of great memories. I learned a lot about the inner workings of a church from maintaining the facilities to the challenges of ministerial transition. Interests: My family. The healing and wholeness that come through the faithful preaching of the Gospel and administration of the Sacraments. Reading science fiction novels. Making things with my hands. Experience at St. Peter’s: My wife and I attended St. Peter’s for several years before I became the youth intern in 2012. I served as the youth intern for 1 1/2 years until I graduated from Beeson in Dec. 2013. In Jan. 2014, St. Peter’s called me to be the Assistant Pastor, which is the role I served in until August 2017. St. Peter’s is the church which gave birth to me as an Anglican pastor. It saw me through my theological/ministerial training, both my ordinations to the diaconate and presbyterate, and ultimately my first pastoral position. It was a wonderful home and I miss it dearly. Experience at St. Peter’s: My wife and I arrived to both Alabama and St. Peter’s in Fall 2013. We both began to volunteer with the worship and youth ministries, and I began serving as Youth Minister in January 2014. St. Peter’s has been a blessed church family and home to both of us. It has also been a training ground for me, in which God has increased my love for His Church. I am encouraged and challenged by my students, the young theologians of St. Peter’s!